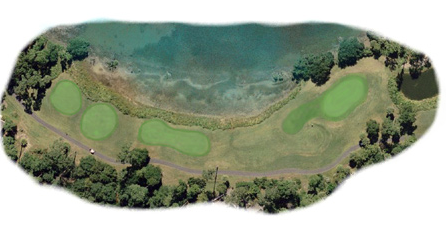 Both your short and long games will be tested on this interesting mix of holes while you enjoy the natural beauty of the scenic marsh vistas. A good drive can set up this hole. There is sand along the right side of the fairway with the second shot to an elevated green with severe drop-offs on both sides. The fairway is open to the left which will avoid sand and severe rough. The green is elevated with sand on the left, and both sides have extreme drop-offs challenging the approach shot. This hole offers an open drive and second shot. 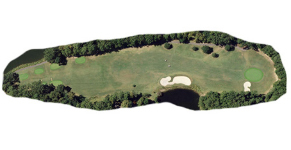 The green which is well guarded by sand and mounds, can create putting challenges due to its size and contour. Although the hole is open from the tee, a long straight drive is desirable due to rough and trees. The fairway narrows as you approach the well guarded green. The elevated tee presents a picturesque view over a pond to the green. Due to the distance and slope of the green, which has a severe drop from back to front, the pace of putting i extremely important to reduce multiple putts. 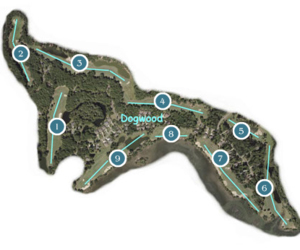 This dog-leg left par 5 can be easily reached in three, or in 2 for longer hitters playing down the left side. Water runs along the left with our of bounds on the right. The third shot must cross the marsh, and you cross a bridge to access the undulated green which requires a soft putting stroke. The fairway is wide with a waste bunker running along the complete left side and homes along the right. 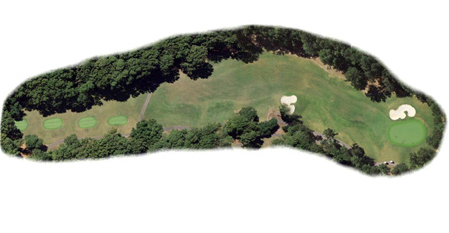 The green is well bunkered on the left and back, so a shorter approach is safer. 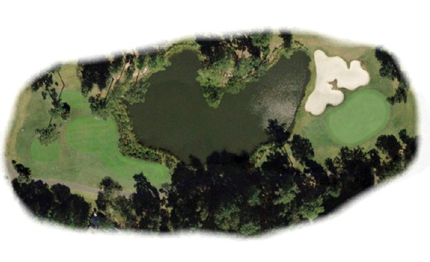 This very scenic par 3 hole requires a shot over the marsh with a large mound on the ride side of the green. Both left and long of the green have marsh and water. This finishing hole also follows the marsh with both water and sand on the left and trees on the right. The green is well protected by sand and there is a marsh even behind the green. Due to the contour of the fairway and the view towards the clubhouse, this hole is a fun way to end the round.